Cloudy skies. A stray shower or thunderstorm is possible. Low near 35F. Winds ESE at 5 to 10 mph..
Cloudy skies. A stray shower or thunderstorm is possible. Low near 35F. Winds ESE at 5 to 10 mph. Wallace “Wally” Erickson, who led Compassion International as the organization’s president from 1975 to 1993, died Feb. 17 at the age of 90. Wallace “Wally” Erickson, who led Compassion International as the ministry’s president from 1975 to 1993, died Feb. 17 at his home in Grand Junction, Colo.
“We will forever be in the debt of this remarkable, compassionate man of God. 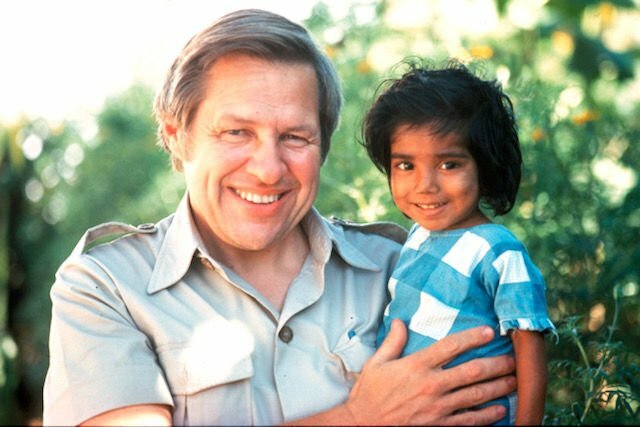 He built the foundation for Compassion to become the beautiful worldwide ministry it is today,” said Santiago “Jimmy” Mellado, Compassion’s current president and CEO. Erickson served Compassion International, a Christian child development organization that works with children in poverty, in various roles for 25 years. He first joined the ministry in 1968 and became the organization’s president in 1975. Erickson was instrumental in the ministry’s move from Chicago to Colorado Springs in 1980. At that time, the organization served 55,000 children. Today, Compassion delivers its child development program to more than 2 million babies, children and young adults in 25 countries. Erickson was married to his wife, Mary, for 68 years. They have three children, Debby, Karen and Wally, Jr., and several grandchildren. Compassion International’s headquarters are located at 12290 Voyager Parkway, Colorado Springs.